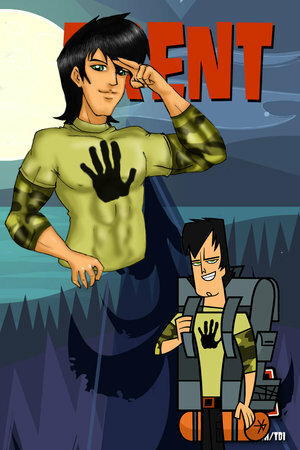 Trent. . Wallpaper and background images in the Total Drama Island club tagged: tdi trent total drama island. The anime drawing kinda looks like Elvis. XD (I mean no offence, I'm just weird like that).